BOB ABERNETHY, anchor: This past week the UN said nearly a billion people worldwide are hungry, but there are many efforts underway to combat that. We have a Fred de Sam Lazaro story today about one popular feeding program that this year shipped out 40 million meals for poor children around the world, at just 13 cents a meal. Church volunteers, a nutritious recipe, and one dedicated man made it all possible. Nearly a billion people worldwide are hungry. FRED DE SAM LAZARO: Each weekday morning at this missionary school in rural Haiti, the gates open to a stampede of small, mostly bare feet. The kids make it to the dining hall for what will be the only substantial meal of the day. A few quietly save a portion usually for a younger sibling who could not get here. Any child from the area is welcome. Occasionally an adult like Emma Marisou is invited in. She’d come to the clinic next door with two-year-old twins, their bodies swollen and emaciated by severe malnourishment. Another occasional visitor at these meal times is a 79-year-old social entrepreneur from Minnesota. Richard Proudfit created this feeding program. Called Kids Against Hunger, it will deliver 40 million meals this year and, he hopes, 80 million next year in 38 countries around the world. The ABC of good learning is a good meal, he says. RICHARD PROUDFIT (Founder and President, Kids Against Hunger): God has called me to feed starving children. I have to do that first, and then when we activate their body, then they can move on to other things. DE SAM LAZARO: His calling came long before he retired from a successful business career, long before a stroke that distorts his speech but not his enthusiasm, especially when it comes to the nutrition in the meals here. Mr. PROUDFIT: It’s unbelievable: 52 percent protein, rice, six vegetables designed for the children, and also we put in 21 vitamins and minerals in that design for the children. DE SAM LAZARO: It’s the design of his program that’s been key to its growing success. DAWN DRESSER (Outreach Director, Calvary Lutheran Church, speaking to church group): I’m Dawn Dresser, and I’m the director of outreach here. DE SAM LAZARO: It begins in places like Calvary Lutheran Church in suburban Minneapolis where people gather for so-called packaging events. Ms. DRESSER: Do we have any kids in here that are under second grade? If we do, we need them to go over to childcare. DE SAM LAZARO: Second grade is all that’s required to volunteer. Ms. DRESSER: We started out with a goal of half a million meals. We’ve bypassed that, and our new goal is a million meals, so— and because we’re doing a million meals, it also changed the price per meal. So we’re down to 13 cents a meal. UNIDENTIFIED MALE VOLUNTEER #1 (demonstrating food preparation to church group): First thing we’re going to do is put in some of the vegetable — put a full scoop of this in there. That you want to level off — that’s why we’ve got two spoons in that one. Yeah. Perfect. The rice waits last. UNIDENTIFIED FEMALE VOUNTEER #1: Like this? Kids Against Hunger has attracted 80,000 volunteers in 18 states. UNIDENTIFIED MALE VOLUNTEER: Yes, you got it. UNIDENTIFIED FEMALE VOLUNTEER #2: So I can just see those kids, or my kids and those kids. Makes me sad. UNIDENTIFIED MALE VOLUNTEER #2: Something very simple does a whole lot of good, and it shows the importance of working together and doing something good for more than just yourself. UNIDENTIFIED YOUNG BOY VOLUNTEER: It feels good when you can pack food for people who never get to have any every day and people like us take food for granted. DE SAM LAZARO: Like the packaging, funding is small scale—contributions from the volunteers and the church community. They doubled an earlier goal, and the pastor’s confident they’ll raise the $130,000 for one million meals. 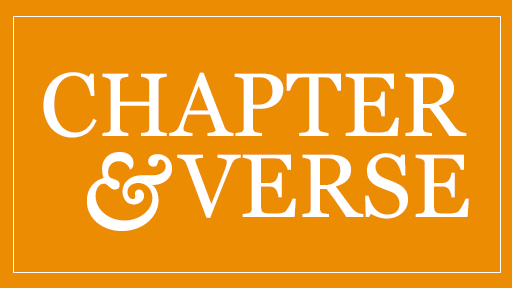 Reverend STEVE DORNBUSCH (Pastor, Calvary Lutheran Church): Well, I’ve been here almost 12 years, and I don’t remember us doing anything that has so excited this number of people to be a part of it and to feel like we’re really making a difference in the world. DE SAM LAZARO: Richard Proudfit began working on kids’ nutrition in 1974, moved by suffering he saw as a volunteer in Honduras after Hurricane Fifi. Mr. PROUDFIT: The children, they were literally dying all around me, and the mother was carrying — and they were dying right in their arms. And I said I have to come back to Minnesota and see what can I do. DE SAM LAZARO: He launched feeding programs soon after selling his businesses in the mid- 80s. At first he just bought foods typically found on American grocery shelves like Twinkies and granola. Mr. PROUDFIT: I took 15 tons of food to India, and my kids were throwing up on me because it was too powerful. They were coming from zero way up. So when I met with Cargill they said calm it down and it will accept the children all over the world. DE SAM LAZARO: So finding the right diet took a lot of trial and error? Mr. PROUDFIT: It took three years, three years. DE SAM LAZARO: The idea has caught on. Today, Kids Against Hunger has 30 satellite locations in 18 states, from church groups to Kiwanis clubs. They’ve attracted some 80,000 volunteers. Michael Lloyd, who now runs its day-to-day affairs says Kids Against Hunger’s role is as logistical link between good intentions here and hungry children there. MICHAEL LLOYD (Executive Director, Kids Against Hunger): We provide them all the support: how much ingredients to order for how many meals they want to package; what equipment they need; and so on. So we help them distribute the food. So we have connections in over 40 countries, and if they’re looking for an outlet for their food, an NGO to distribute it through, we try to help with that service as well. DE SAM LAZARO: They’ve also established connections to the U.S. military so international shipping costs, often a major expense, are minimized. On this day, the Coast Guard vessel Tampa on patrol in the Caribbean delivered a load in the Haitian capital, Port-au-Prince. Mr. PROUDFIT: (speaking to Captain of Tampa on dock): It’s been fantastic what you guys are doing. Really! CAPTAIN: Well, it’s very rewarding with my crew. It’s something they can see, actually see the good happening. DE SAM LAZARO: These meals were destined for the feeding program Emma Marisou brought her twins to, before visiting the doctor. At age two, each child weighs barely 20 pounds, about half the normal range. It will take weeks to restore them to full health with a nutritious diet, something that still eludes most Haitian children. But children who receive the Kids Against Hunger meals, like three-year-old Jerlyn, do thrive. Adam and Amber White run the church feeding program. 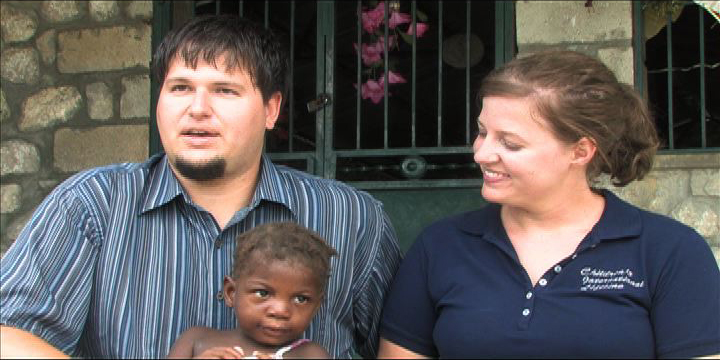 Adam and Amber White run a church feeding program in rural Haiti. ADAM WHITE: Within 10 days, she’s gained five pounds in weight, and she’s — I don’t know if you can tell — she’s still malnourished. But, I mean, a few days ago she didn’t have a smile on her face, and now she does. 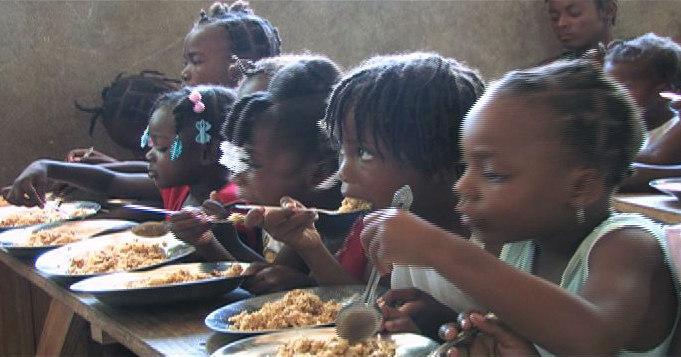 DE SAM LAZARO: The smile, like progress against malnutrition in Haiti, is slow to come. But that doesn’t dampen Richard Proudfit’s optimism that he’ll soon reach every hungry child —optimism expressed with biblical zeal. Mr. PROUDFIT: It’s my passion of going to my Ninevah, okay? I have to go there, because if I don’t I’m going to wind up in the belly of a fish. I love God because every children in the world is God’s children. DE SAM LAZARO: Next year, Kids Against Hunger expects to double the number of meals it will package, and Richard Proudfit expects to deliver a fair share of these himself. Mr. PROUDFIT (riding a donkey): We’re going to deliver the food right to the homes. DE SAM LAZARO: For RELIGION & ETHICS NEWSWEEKLY, this is Fred de Sam Lazaro just outside Port-au-Prince, Haiti.